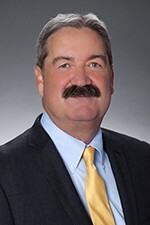 Michael Tomlin maintains a diverse litigation practice, a substantial portion of which focuses on insurance related claims, which includes coverage issues, professional liability, personal injury, and premises and product liability claims, as well as those involving nursing home and assisted living facilities. As part of his wide-ranging practice, Michael also advises clients on matters relating to building products and construction defect litigation. Michael joined Hinshaw & Culbertson LLP in October 2012. Previously he was for eight years an attorney with DeMahy, Labrador, Drake, Victor and Cabeza, in Coral Gables, Florida. Prior to joining DeMahy, Michael was a partner in two boutique law firms that focused on asbestos personal injury defense, insurance and commercial disputes. He began his legal career in Miami, Florida in 1989 at the law firm Stinson, Lyons, Gerlin & Bustamante defending product liability claims and prosecuting claims under the Federal False Claim Act. Successfully obtained a judgment at trial imposing a constructive trust over real property with a value in excess of $800,000 in order to protect property from claims of alleged mortgagees so that property could remain in the hands of and be used by a not-for-profit religious organization in Miami-Dade County. Judgment upheld on appeal. Member of trial team that obtained defense verdict in the Circuit Court, Miami-Dade County in multimillion dollar wrongful death claim asserted by wife of a pipe-fitter against manufacturer of asbestos containing pipe-covering that allegedly caused decedent to develop mesothelioma. Obtained dismissal of a lawsuit brought against a law firm and its partner for alleged violations of the Fair Debt Collection Practices Act, Florida's Consumer Collection Practices Act and abuse of process by lessee of property/defendant in underlying mortgage foreclosure proceeding. Defended manufacturers of asbestos-containing products, and assisted in the management of thousands of personal injury claims filed in state and federal jurisdictions throughout South Florida. Successfully represented clients in appeals in the Florida District Courts of Appeal for the Second, Third and Fourth Districts.